Hanasaku Iroha （花咲くいろは, or quite literally How the Flowers Bloom）is one of the best anime series I’ve seen so far this year. Despite the plot runs a little here and there from time to time, it is still a great anime title nonetheless. Somehow I feel anyone with trouble finding inspiration for their jobs should watch the anime, Hanasaku just might lend some power and make things better. It is the kind of work from which everyone could learn something. 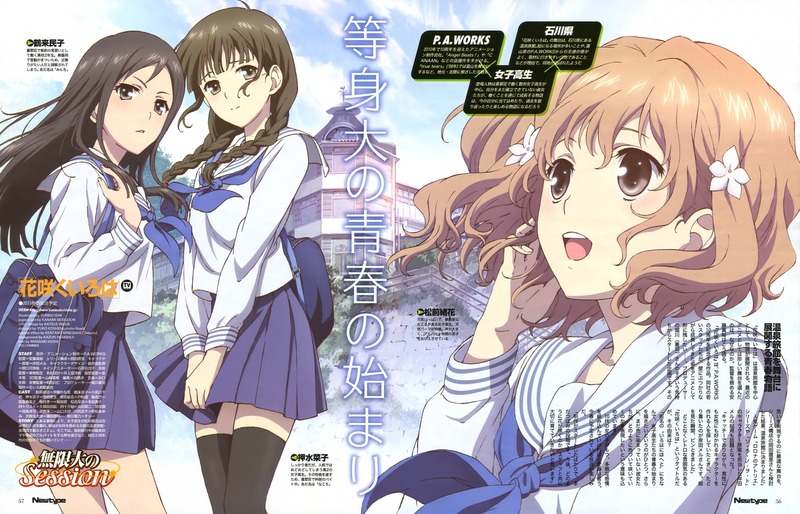 Below is an awesome magazine publication page for Hanasaku Iroha, ultra high-res. I have been working on the second post for Anime Basics, focusing on seiyuu or voice actors. It’s been a little challenging finding and organizing materials to make it a reasonably good article though. So I decide to carefully, attentively, cautiously, respectfully write the article, with a heart full of love. So, another anime event shall hit Beijing. The “12th International Comic Convention and 2011 Beijing Anime/Comic Week” is going to be held between 21st and 25th of October, in the near-suburb region of Shi Jing Shan, Beijing. Detailed outline of the event is to be found in this China TV report (in Chinese). According to the outline, the event is going to cover pretty much everything from A(nime) to C(omic, i.e. Manga) to G(ame), with celeb meeting, cosplay contest, screening of anime titles and e-sport events, etc. The event is also infinitely more commercial and industry-centered, involving an exhibition on the advances of Chinese anime industry (which is very mainland-Chinese, if you know what I mean), private business meetings, and a career fair. On the fun side, the exhibition also features programs with more “neta” elements, such as the parody Chinese dubbing group for Gag Manga Biyori series who has received huge popularity among the Chinese online community. An interesting fact is that a sponsor of the anime/manga event is the Capital Steel Group, a state owned industrial giant in a sector obviously irrelevant to anime. Well, the connection is that the event is going to be held on their land, which were heavy iron and steel industrial complex redeveloped into parks during the “factory migration” before the 2008 Beijing Olympics. As a country sharing numerous cultural elements with Japan, China already is a power base for anime/manga businesses. During the one and a half decade between 1985-2000, China was mostly a consumer of anime products, and has been close to nothing on the production/publishing side. Despite the on and off tensions (both historical and political) between Chinese and Japanese nationalist sentiments, anime/manga have nevertheless found a strong fan base in the mainland market. Familiar to those who grew up in China in the late 80’s and 90’s, titles such as Doraemon and Slam Dunk enjoyed practically universal popularity and become an integral part of the generational identity. 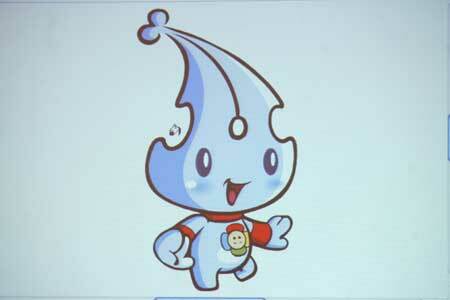 Eventually, China started to see a group of young, talented home-grown manga authors appearing in the past decade. It is growing fast. To be sure, anime and manga were extremely marginal in China and were used to be seen as “unhealthy” for school aged population. However, the perception somehow turned 180 degrees in recent years, after the government deemed anime/comic industry a focus of the Chinese “soft power” build-up. Receiving unprecedented recognition by mainstream media, Chinese cos-ers no longer have to practice strict Otaku-ism and could take your much-loved Haruhi dance (to the tone of Hare Hare Yukai) onto bigger stages- if they wish to, of course. I mean, with the flourishing internet media in China (though heavily censored, strangely, “flourish” is still an understate for China’s internet frenzy), you could even find middle school students cosplay-ing characters from Shinban （新番, new programs）animes on their school cultural festival. Darn, during my time at school this kind of stuff was a little far off, to say the least. Meanwhile, the Chinese government is encouraging domestic anime production with huge resources input (after, this is where the business is), and rather aggressive industrial protection methods such as setting quotas for Japanese animes on air and put Chinese production at prime hours. Guess what? Chinese studio churn out works like crazy, with an allegedly 1000 RMB incentive fee for each minute longer than standard episode length (a rumor I cannot independently confirm). Like your typical Chinese products, along comes the dark side: low quality, non-innovative, rip-offs. Certain rip-off cases on Japanese anime titles are, frankly speaking, quite horrendous even by Chinese standards, such as the infamous Gao Tie Xia (High Speed Rail Hero? ), which is practically a screen by screen rip-off of a 15 year old Japanese production. Considering the China High-speed Rail accident two months ago has been enough of a disaster, further negative PR is seriously not helping the Railway Ministry. Wait, did I say Railway Ministry? Yes, though they didn’t make the anime, but have indeed endorsed it. Talking about unintentional liabilities. I would still recognize the upside to China’s anime industry though. 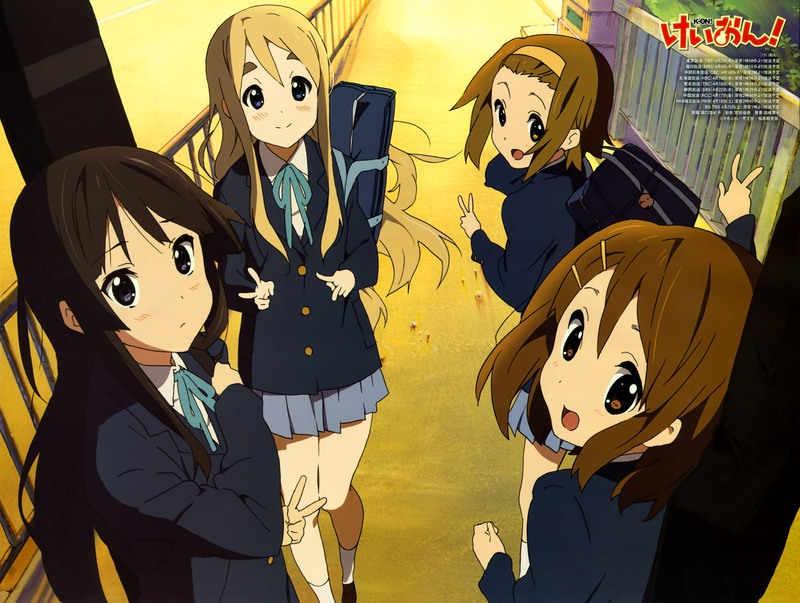 These days it is no longer a rarity for Japanese animation studios to contract out works to China. If you watch carefully at EDs of Japanese anime, it is really easy to spot Chinese illustration studios participating. Also, China sure does have its share of devoted, honest, and highly talented anime brains. The small indie anime work below by L-key, an independent studio gives us a good example. Though low on resources and limited in production techniques, those guys sure have the necessary passion to churn out some quality work that really tells the story they want to tell. Eventually, this is what’s important. Gotta share a great K-on poster (official), had this one as my cell desktop for quite a while. ashita mo ganbarimasu. Online streaming is the way to go? This article titled Daniel Ek’s Spotify: Music’s Last Best hope from a July edition of Bloomberg Businessweek on Spotify is a real eye-opener for me. First of all, I have never heard about Spotify before, for all my ignorance on the world of online music streaming. Second, the experience of Spotify gives us a powerful example of discovering profitable business model out of what seems to be a dead end. By the way, this is usually impossible without a certain level of passion involved. To sum the article up, the biggest challenges to Spotify are 1. to maintain a highly reliable and stable service, which the company already do quite well; and 2. to convince people to stream/rent rather than to own, which is both critical to Spotify’s future and extremely difficult. Some of the largest markets for the music industry, namely North America and Asia, are still considerably conservative with strong “collection” mentality, as mentioned in the article. In these markets, people still love the feeling of having CDs on their shelves (as in North America), or carrying a 150GB mobile hard drive brim with illegal downloads around (as in China). Money is not the critical issue here, habit is. On a side note, animes are actually being distributed in a very “spotify” manner in Japan: free, fast, and straight to your cell phone. Check out Niconico douga’s anime section, for example, it is really something. Talking about Dead Island, the following video is probably the best among the game’s very few attractive public presentations after its unique trailer (often spoken of as “better than the game”). Be warned you may suffer from certain suffocation or pain in the stomach while watching, enjoy. In comparison, negative publicities are flying all over the internet, including major no clipping glitches, dancing zombies, faulty character models and the HARDEST BOSS FIGHT EVER. And of course a ton of criticism to the game itself. Tempted to fist all zombies into sky, I would still play the game under normal condition through first, just showing some respect to other people’s labour you know? I am planning to churn out a K-on!/!! review over the weekend, so お楽しみに. I would like to point out though that a certain critical task I am currently engaged in (other than playing Dead Island on normal and watching animes, that is) is very time consuming, so I may not update the blog as often in the following month or so. I still try to keep up to a three day schedule though, or in other words by-weekly.